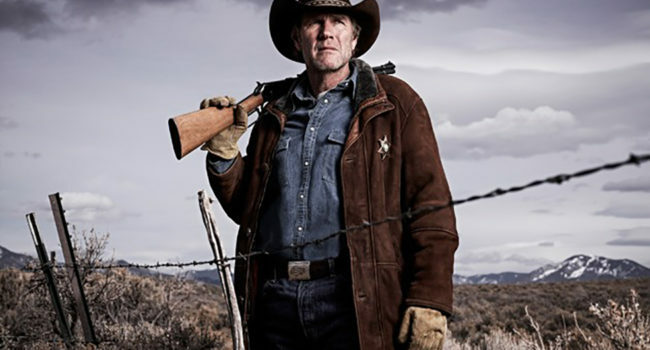 The protagonist and unflappable sheriff of Absaroka county in the Netflix TV series Longmire, Walt Longmire (Robert Taylor) patrols his Wyoming territory with grit and determination. A weathered man with a core set of principles, he handles the twin difficulties of his caseload and the politics of working with the Cheyenne Reservation while also relentlessly searching for the killer of his wife. He dresses for the dry, dusty plains of Wyoming in a uniformly jean outfit and his signature hat. 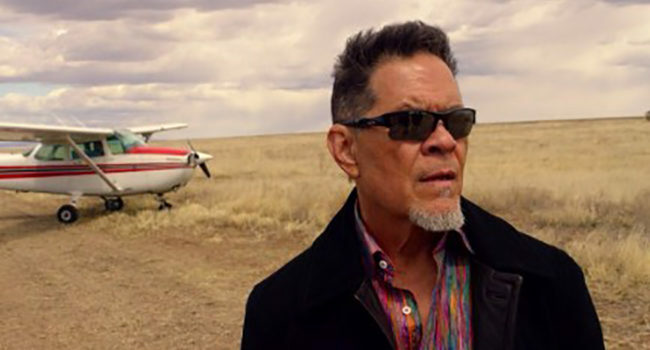 Originally a nemesis of sheriff Walt Longmire on the TV series Longmire, Jacob Nighthorse (A Martinez) eventually begins to work with the sheriff to restore order to Absaroka County. Nighthorse is a member of the Cheyenne reservation and the wealthy owner of the Four Arrows Casino along with many other urban projects. Although of dubious character with shady dealings, he often shows a strong ethical streak, particularly when it comes to his people. While at the casino and in his office he always dresses in a fancy suit with colorful shirts and his ever-present goatee. The handsome and physically fit Branch Connally (Bailey Chase) serves as a deputy in the Absaroka county Sheriff’s Department on the TV series Longmire. His family has ancestral roots in the Wyoming county and was one of the first families to build it into a bustling city. His family also has a history of violence and blind force of will; both characteristics cause conflict and tragedy for Branch. This guide covers his official Sheriff Department’s uniform. The daughter of titular character Walt Longmire on the TV series Longmire, Cady Longmire (Cassidy Freeman) is a lawyer searching for her place in the world. She is a kind, intelligent, strong woman who worries about her father, helps those around her and has a strong sense of justice. Eventually she decides to quit her job and work for a much lower salary helping those on the Cheyenne Indian Reservation. She favors layers with blue jeans, simple jewelry and a Western-style belt. Henry Standing Bear (Lou Diamond Phillips) is a member of the Cheyenne reservation in Wyoming and the best friend of Sheriff Longmire in the TV show Longmire. Standing Bear owns the popular bar The Red Pony and often helps Walt out on his cases. This leads to trouble down the road, especially when Standing Bear winds up in the middle of the sheriff’s office and the Cheyenne Reservation police unit. He dresses simply in a red plaid shirt and jeans. For an extra touch, carry around a glass jar filled with the names of people others want you to kill. New to the sheriff’s department in Wyoming’s Absaroka county, deputy Vic Moretti (Katee Sackhoff) is the right-hand woman of Sheriff Walt Longmire on the TV series Longmire. She is an enigmatic character with a rough and wild side, but comes to love the people in the sheriff’s office as her new family. She has a dark reason for coming to Wyoming, one that eventually catches up to her. This guide covers her day-to-day officer outfit, complete with blonde hair and sunglasses.